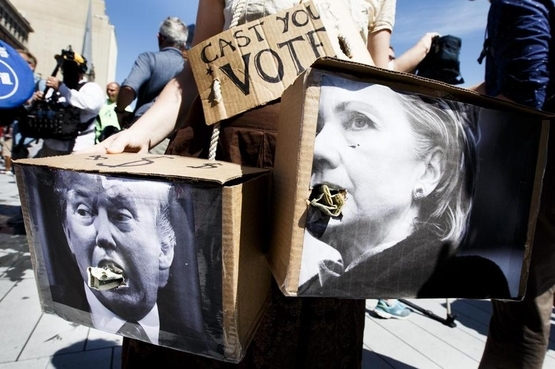 A woman holds pictures of Donald Trump and Hillary Clinton in Cleveland, Ohio, July 20. Though Hillary Clinton privately acknowledged that the massacre of US personnel in Benghazi was unrelated to an obscure YouTube video, she brazenly maintained otherwise in conversation with the father of slain Navy SEAL Tyrone Woods. As Charles Woods wrote in his notebook at the time, Clinton vowed "to have the filmmaker arrested who was responsible."